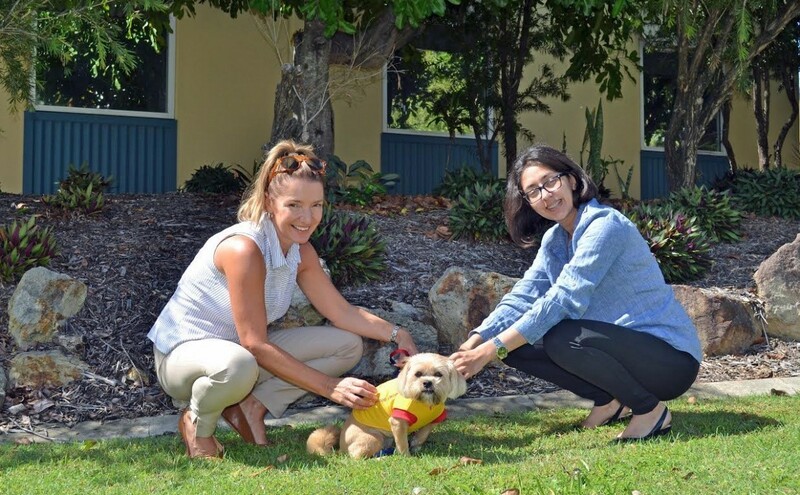 A Queensland employment service that mentors people with disability, injury or illness into paid positions is using man’s best friend to support their development. Horizon Foundation’s Link Personnel service is using Animal-Assisted Therapy (AAT) and has brought on board a trained therapy dog to assist people who face workplace barriers. Link Personnel employment coordinator Jayne Newton said a person with a domestic pet could be viewed as less threatening and that it could increase rapport between people and produce a flow-on therapeutic benefit. “Having a dog in the room changes the whole atmosphere – I wish all offices could have one,” Newton said. Newton brought her pet dog May along to undergo professional training by an animal behaviour therapist to work with people at Link Personnel’s six office sites. Her rescue dog from the Animal Welfare League developed techniques such as obeying commands made by the owner like coming to them when tapping their leg, sitting on clients’ laps and accepting being cuddled. “She’d had a bad start to her life and she has still been able to trust humans again to now having a career helping people,” Newton said. “She knows she’s at work when she wears a bandanna and a Link Personnel jacket. Her bright yellow vest says ‘therapy dog working’. “When she is in her role she becomes a sensible adult. She can walk past food and not want to grab it. She can be out in a crowded place and composes herself to carry out duties despite distractions. Newton said having an animal involved in the journey of transformation for a person is a special gift. “We brought her as a companion for my son with a disability and she is so gentle around him,” she said. “We brought her into the office and she seemed to give so much back and be so caring. Newton said using a dog as a workplace tool was seen as an unusual concept. “It is rare to see employment services equipped with a therapy dog. It gets people thinking outside the box – let’s try animals,” she said. 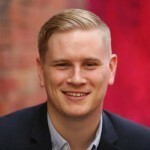 Horizon Foundation’s Link Personnel manager, John White, said he appreciated the time and effort they invested in May and the benefits were clear. “May has made a significant difference to more than five clients’ lives thus far,” White said.